Lots of people ask me what’s the point of networking. It takes time. It take effort. It takes you out of the office for two or three hours at a time. I gave a presentation last week on following up after business networking events and someone stated that it sounded like a whole load of effort, that he was looking at easier ways, such as internet marketing, to reach his audience and prospective clients. Here’s the way I see it. No matter what you do to market your business what you are actually trying to do is start a conversation with someone. Preferably someone who might be a client in the future. But you need to start that conversation first. When I was an estate agent, we used to advertise every single week in the local newspaper. We advertised because we wanted people to ‘phone or call into our office. We wanted to start the conversation. Once the conversation was started, then we were able to engage and offer our services. But we needed the conversation to start. People who sell cars keep attractive and polished cars on the forecourt because they want people to come into the showroom and start a conversation. The one out on the forecourt isn’t quite right, but now they’re talking about the type of car they want to buy. Whether you are using content marketing, direct mail, telesales, Email campaigns, internet marketing. Whatever you do is designed to move people into a conversation with you. And that is why I go to so many networking events. Every person I meet is a conversation started. 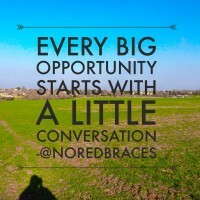 Every conversation started is an opportunity to engage. Every opportunity to engage may lead to a big opportunity. And some of my very little conversations have led to very big opportunities. Your timescale between starting the conversation and someone making a purchasing decision may be much shorter than mine and many people, but you still need the conversation to start. 2. I understand that the first contact is the start of the conversation and not the start and the end. Every conversation needs taking forward and that is down to me. The person I have just met is busy and has multiple distractions in their life and business. If I want to keep in touch, it is down to me and nobody else to make that effort. Some of the time I get that right and, just like everyone else, some contacts slip through the net. But I promise I make more effort than most to keep conversations moving. Want more opportunities? Start more conversations. PS – I wrote a post a while back specifically about following up after networking events, you’ll find it here – “Following up after networking events”. Following up is also covered in LOADS of detail in Chapter 11 of Business Networking for Dummies. Get your hands on a FREE chapter of Instant Networking PLUS you get to have me in your inbox every week. What's not to like? 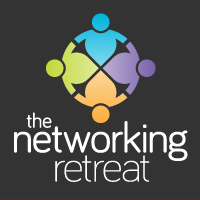 Copyright © 2019 The Networking Retreat Ltd. Company No. 11027532.